The 16th International Conference on Geometry and Graphics (ICGG 2014) will be held in Innsbruck, Austria, on August 4–8, 2014. 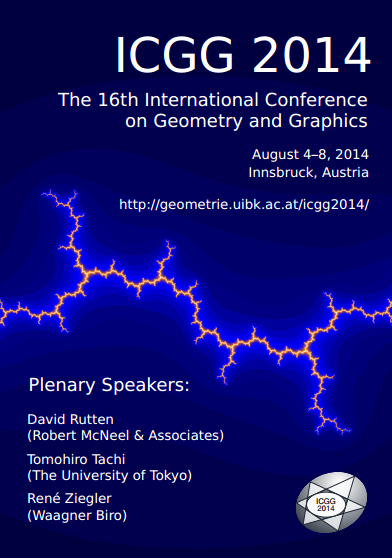 The ICGG 2014 provides a forum for presentation and discussion of both academic and industrial research involving theoretical and applied geometry and graphics as well as other related fields. The ICGG conference is part of a series of conferences held biannually and sponsored by the International Society for Geometry and Graphics (ISGG). David Rutten (Robert McNeel & Associates) will be one of the keynote speakers.